Skin tags may be surgically removed or may be cauterised by a qualified electrologist with advanced training. They are not contra-indicated to skin care treatment, although care should be taken to avoid catching them and causing any discomfort. Moles are also known as a pigmented naevi. They appear as round, smooth lumps on the surface of the skin. They may be flat or raised and vary in size and colour from pink to brown or black. They may have hairs growing out of them. This is a mass of dilated capillaries and may be pigmented as in a birthmark. Papule is a small raised elevation on the skin, less than 1 cm in diameter which may be a red colour. It often develops into a pustule. Small growths of fibrous tissue, which stand up from the skin and sometimes are pigmented (black or brown). A scar is a mark left on the skin after a wound has healed. Scars are formed from replacement tissue during the healing of a wound. Depending on the type and extent of damage, the scar may be raised (hypertrophic), rough and pitted (ice pick) or fibrous and lumpy (keloid). 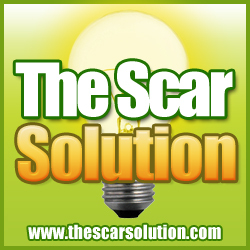 Scar tissue may appear smooth and shiny or form a depression in the surface. The skin is a complex organ and when symptoms of disease and disorders occur, it can affect both a client's health and wellbeing. It is essential that a facial therapist is able to recognise skin conditions that require medical treatment to ensure a client receives the correct form of treatment, and to avoid cross-infection in the salon if the condition presented is infectious. It is equally as important to be able to be knowledgeable about skin lesions and disorders to ensure the correct form of treatment, advice and/or referral to a dermatologist is made. This is the term for dilated capillaries, where there is persistent vaso-dilation of capillaries in the skin. Usually caused by extremes of temperature and over-stimulation of the tissues, although sensitive and fair skins are more susceptible to this condition. A tumour is formed by an over-growth of cells. Almost every type of cell in the epidermis and dermis is capable of benign or malignant over-growth. Tumours are lumpy and even when they cannot be seen, they can be felt underneath the surface of the skin. An ulcer is a break or open sore in the skin extending to every layer. This condition is also known as 'hives'. Lesions appear rapidly and disappear within minutes or gradually over a number of hours. The clinical signs are the development of red weals which may later turn white. The area becomes itchy or may sting. There are a number of causes of urticaria, some of which are an allergic reaction to certain foods such as strawberries, shellfish, penicillin, house dust and pet fur. Other causes include stress and sensitivity to light, heat or cold. These are small sac-like blisters. A bulla is a vesicle larger than 0.5 cm and is commonly called a blister. 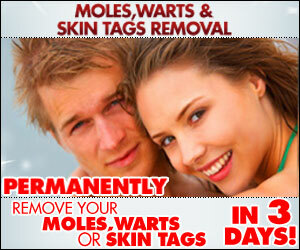 A wart is a well-defined benign tumour varying in size and shape. See 'Viral infections of the skin'. A weal is a raised area of skin, containing fluid which is white in the centre with a red edge. 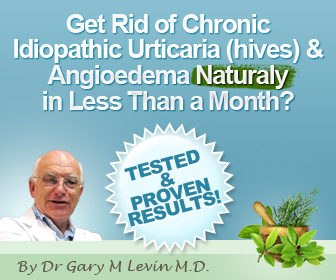 It is seen in the condition urticaria.